Protecting employees from exposure to harmful dusts and fumes is a requirement for companies all over the world. However, not all countries have access to the same level of knowledge about both the damage that contact with the dust and fumes produced by different materials can cause, and how best to extract these substances. At Vent-Tech, we are happy to impart our expertise wherever it may be required and indeed have completed LEV (Local Exhaust Ventilation) designs for organisations all over the World. Our mission as a company goes far beyond designing and installing LEV systems – instead our focus is to do all that we can to help eliminate preventable deaths and illness caused by occupational exposure to harmful substances. 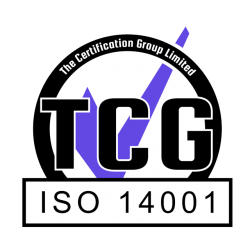 For us, this means doing all we can to help educate organisations, wherever they might be, about the need for preventative extraction and how to ensure that their extraction systems are working properly. Representatives from Vent-Tech have been involved in conferences and training worldwide, helping to raise awareness and knowledge among delegates – including speaking at the International BOHS conference in Abu Dhabi on two occasions. 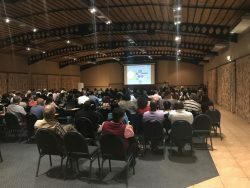 In fact, our Managing Director Adrian has just returned from the South African Institute of Occupational Hygiene (SAIOH) Annual Conference in the beautiful Drakensberg, where he presented a keynote speech to a packed hall, focusing on LEV Test equipment. Additionally, he ran two full day CPD courses during the conference looking at testing LEV systems, both of which were very well attended with over 45 delegates in total. Vent-Tech is also authorised to run the IP601 course which is the international version of the UK P601 course, providing delegates with the knowledge and expertise to thoroughly examine and test LEV systems. We have run this course previously in Johannesburg for Anglo American and are happy to travel to deliver it if there are enough delegates. We have also completed designs for overseas companies, including a Petro-Chemical manufacturer in Singapore and a Civil Aviation manufacturer in the Seychelles. We also have a project coming up for the mining industry in Botswana. In the majority of cases we are able to advise and produce designs based on schematics, photos and videos of the process requiring extraction and the building. In the case of a very large system, a site survey may be required. What does ‘good’ look like with LEV? Is your organisation fully up to date with the latest knowledge about how to protect your employees from the many illnesses that exposure to dusts and fumes can cause – from Cancer to COPD to Asthma and more? If you would like to benefit from Vent-Tech’s recognised expertise and training about all things LEV, then please do get in touch. Don’t let the fact you may not be based in the UK stop you – your employees’ lives are worth protecting wherever you may be based.